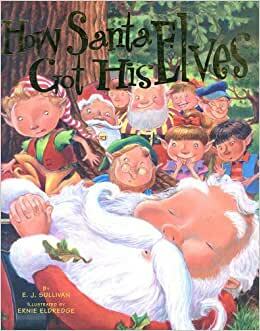 After a particularly difficult Christmas Eve, Santa falls asleep in a pretty little woods and sleeps for a whole year, while a family of elves makes toys for him. 5.0 颗星，最多 5 颗星A must read to young children with a questioning mind. This is one of the cutest Christmas stories I have heard. 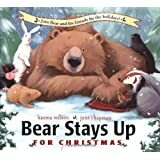 I am a professional storyteller, and I have adapted this book as one of the stories I tell as Mrs. Claus. I tell it in my own words of course, but your children will LOVE this story! Poor overworked Santa Claus used to make all the toys by himself in his workshop. His wife never saw him because he was always working. After putting her foot down telling him he MUST get toy makers to help him, Santa went all over the world looking for toy makers with no luck. Having used up so much time looking for help with no avail, he had even less time to make all the toys, so he had to work longer and harder to catch up. When he finally finished and loaded up the sleigh he was so tired, by the time he delivered the last toy he just couldn't make it home. He found a nice meadow and landed his sleigh. He let the reindeer go to graze while he curled up under a big tree to go to sleep. He sleeps for a full year! Mrs. Claus has looked everywhere for him. Will Christmas be ruined? Find out how Christmas is saved.